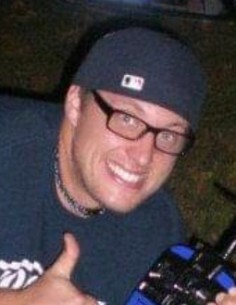 Adam Wesley Currie, 36, of St. Joseph, Michigan, passed away Monday, January 14, 2019 at his home. He was born August 18, 1982 to James Currie and Julie (Cramer) Hapke in Allegan. Adam graduated from Bloomingdale High School with the Class of 2000. He enjoyed working on and modify cars and especially enjoyed working on Volkswagen Jettas. Adam also enjoyed walking his dog, Wally, who precedes Adam in death. He is preceded in death along with his canine companion by his step-father – Paul Hapke, grandparents – Wesley and Ruby Cramer, and uncle – Wes Cramer. Adam is survived by his mother – Julie Hapke of Pullman, father – James Currie of Kernville, California, grandmother – Ruth Benson of Cave Junction, Oregon, siblings – Angela (Robert) Sprague of Gobles, Karissa Hapke of Kalamazoo, Julie Hapke of Holland, and Paul (Rebekah) Hapke III of Pullman, his life companion – Megan Sherry, and nieces and nephews – Kylie and Aria Sprague, Alexis Vanaelst, Ethan Slawson, Bryce and Isabelle Hapke. Visitation will be held from 3:00 PM to 5:00 PM on Thursday, January 17, 2019 at the Filbrandt Family Funeral Home in South Haven. Memorial Services will follow visitation at 5:00 PM at the funeral home with Pastor David Johnson officiating. A dinner will be served at the Pullman Elementary School following services. Contributions may be made in Adam’s memory to the Allegan County Community Mental Health, 3283 122nd Avenue, Allegan, Michigan 49010 or to the Al Van Humane Society, PO Box 421, South Haven, Michigan 49090.